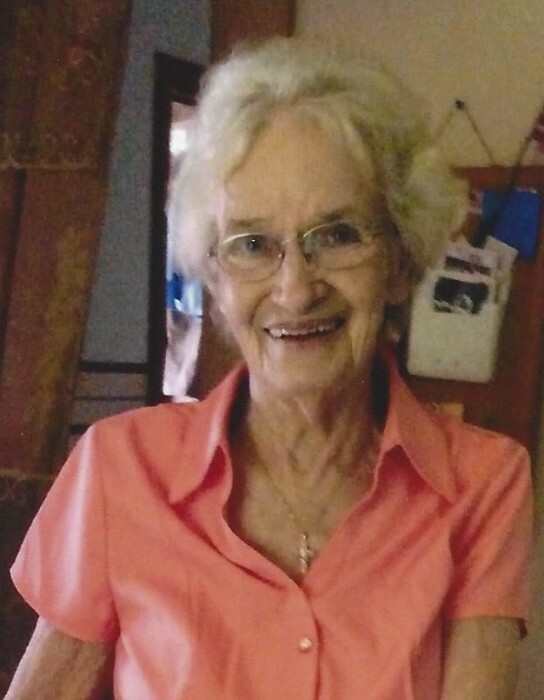 Erma “Jackie” Longmire, 86, passed away at Greene Rural Health Center on Wednesday, May 9, 2018. She was a long time member of Canaan Land United Pentecostal Church where she faithfully attended for as long as she was able. She loved to cook, sew, and go to church. Her favorite thing to do was to take care of her family, with whom she loved to spend time. She was loved and will be greatly missed. She was preceded in death by her husband of 57 years, Buford Longmire; daughter, Lisa Reynolds and unborn grandchild; grandson, Nicholas Reynolds; 11 brothers and sisters; daughter-in-law, Lisa Pierce Longmire. She is survived by her sons, Richard Longmire (Lynn), Jerry Longmire, and Kenny Longmire; 12 grandchildren; 12 great-grandchildren; and a host of nieces, nephews, and friends.